Under construction - estimated completion November 2018. 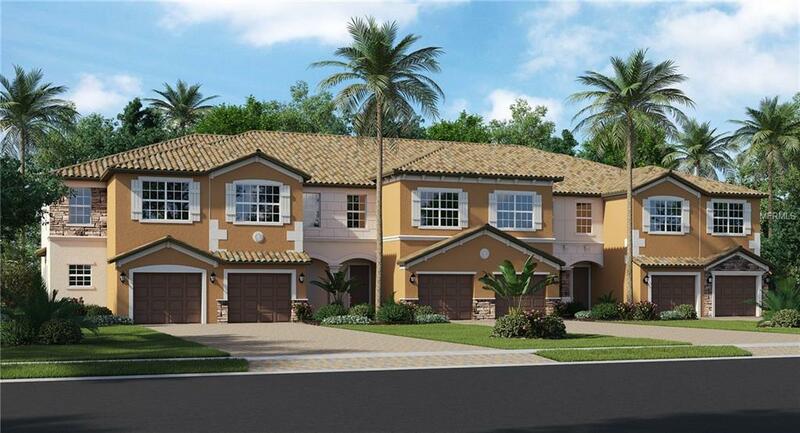 The Berkly floor plan features living space ideally arranged in two stories. The upstairs is where the three bedrooms reside with a convenient split plan with master bath and guest bath. The downstairs features an expansive family room and dinette off the kitchen for multitudes of relaxation options. A downstairs half bath keeps guests from having to go upstairs and is the perfect primping spot before heading out. A large lanai is ideal for spending a lazy day reading or kicking back with a nice cool drink after a long day. The one-car garage keeps your auto safe from the elements rain or shine. Gran Paradiso is a full-lifestyle community, featuring a Tuscan-inspired Clubhouse with billiards room, sauna, community pool & spa with poolside cabanas, tennis courts, card rooms, library, and so much more! Close to area beaches and attractions in downtown Venice, Punta Gorda, and Sarasota. Photography, renderings, and virtual tour are for display purposes only the model home furniture, accessories, wall-coverings, landscaping, and options are not included in the price of the home. For included features and any questions, please schedule your showing TODAY! Listing provided courtesy of Lennar Realty Inc.
© 2019 My Florida Regional Multiple Listing Service, Inc. All rights reserved. All listings displayed pursuant to IDX. All listing information is deemed reliable but not guaranteed and should be independently verified through personal inspection by appropriate professionals. Listings displayed on this website may be subject to prior sale or removal from sale; availability of any listing should always be independently verified. Listing information is provided for consumers personal, non-commercial use, solely to identify potential properties for potential purchase; all other use is strictly prohibited and may violate relevant federal and state law. Data last updated 2019-04-24T13:42:19.04.